Live chat with Ambareesh Baliga to address queries related to investments in securities market. Winning the market is creating the right combination of information, preparation and action. Ambareesh Baliga’s daily dose of advice and insights that equips you with the right information, analysis, updates and recommendations. 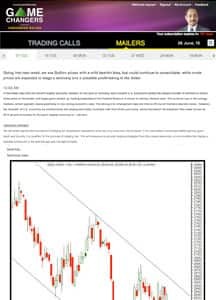 Weekly report with detailed insights on the state of the market and where it may be heading along with one sound stock investment idea. Chat LIVE with Ambareesh Baliga every week. 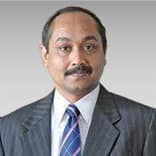 Ambareesh Baliga will identify investment opportunities in stocks with a medium to long term outlook. He will also give insights into how current business news and market activities affect specific stocks and sectors. Stock and market analysis will be rendered through SMS for timely action. The weekly roundup report will provide detailed insights on the current and future market developments across the globe. It will outline investment opportunities in the week ahead. Market analysis: This will give a detailed outlook on Nifty and also the major events driving the market. Wealth Multiplier *: This identifies one strong fundamental stock recommendation along with the investment logic. Ambareesh Baliga empowers your investment decisions. Master Analyst Service: The service is brought to you by renowned SEBI Registered Research Analyst Ambareesh Baliga, who has an impeccable track record of 25 years. Keeping you ahead: The service keeps you abreast of developments in stocks and markets and identifies investment opportunities well in time, helps you stay on top of the game. Invest with confidence: The service will simplify the process of making money by doing all the groundwork to bring to you opportunities to invest after Ambareesh Baliga analyses and interprets news and events. Sound analysis: The recommendations are backed by in-depth fundamental analysis and market experience. LIVE Chat: with Ambareesh Baliga to address your queries related to investments in securities market. Ambareesh Baliga has been known for his "out of the box" contrarian calls which will form a part of the Wealth Multiplier Opportunities. He has mastered the knack of standing out from the crowd to provide an independent view of the markets. The market volatility has been very high since the last month.Nifty on weekly basis was oscillating in 300 point range in May which has now increased to 400 points on weekly basis so far this month. This volatility could unnerve even a seasoned trader but the algorithmic trading systems thrive on such volatility. FIIs continued to be net sellers to the tune of US$350 mn for the week. The current fiasco in Maggi for Nestlé may have long term implications for the food & beverages sector which would be under the scanner of both the authorities and the media. The effect may be felt on marquee names such as HUL, Dabur, Britannia, ITC and GSK Consumer on their food portfolios. However, India being a strategic market for Nestle, I strongly feel they would take serious corrective measures to overcome this debacle and possibly come out stronger. A similar case was witnessed in Cadbury’s Dairy Milk Chocolate more than a decade back, but the company managed to reinvent itself and has grown multifold since then. ITC woes continued after the Maharashtra government banned the sale of loose cigarettes. The stock has been reeling under selling pressure since a while trading at 52 week lows. It is trading at a discount to most other FMCG names and most of the negative news flow seem to be discounted in the current prices. Seems like the FMCG sectors has been caught in the wrong foot with series of negative news flows, forecast of below normal monsoon, dip in rural demand and high valuations will keep the pressure on for while. As expected, May 2015 automobile numbers came in weak due to muted demand pickup; Bajaj Auto, Hero MotoCorp and Tata Motors slumped more than 4 percent each. This proves that excellent growth of April 2015 was a blip for Bajaj Auto. Maruti however was an exception on the back of higher exports resulting in a 14 percent growth. One needs to check the “Taxi” Segment demand which could have led to this divergence. Weak demand environment is expected to aggravate on back of monsoon concerns. Overall, the sector looks weak for the next few months. Overnight on Friday, the US jobs data came in better than expected. On Monday markets are expected to react to this along with the outcome of OPEC meet on Friday where it was decided to keep the production unchanged. Lower Shale gas production as well as Rigs data which fell for the 26th straight week, initially led a rally in Oil but the OPEC meet put a lid leading to a weekly loss. However, analysts are of the opinion that US$ 60 could become the new normal for oil. Developments in Greece will be closely watched. It notified that it plans to bundle its June loan repayments into one of around euro 1.6 billion due by the end of the month. Greece was expected to default, hence this is on the expected lines but the authorities are trying to defer the inevitable. A Grexit could lead to short term weakness in the European Markets as questions would arise about the future of the other weaker economies in the Eurozone. For the coming week, events scheduled are Current Account Deficit, Trade Balance data, IIP (April) data and CPI (May) data. In addition to this, progress of monsoon will be keenly watched as it has already hit the Kerala Coast in South India. On the currency front, pressure on the Rupee continues on back of rise in global bond yields. I expect it to remain range bound in the near term with Rs. 64.50-65/USD as a strong resistance. Overall, I expect markets to consolidate at these levels for the next few days as Nifty 8000/8050 provides a good support. We could even stage a feeble rally to 8200-8250 but I would suggest traders to book out of long positions as the markets may not sustain over a medium term. Monsoon progress would play a key role and the uncertainty could continue for the next few weeks. The end of June or early July could provide opportunities to investors as a fall below Nifty 8000 could lead to a fire sale which would be the time for re-building the long term portfolio. After the 2008 global crisis, it had substantial forex losses due to which the Company had resorted to CDR in 2009. In 2013, it was able to voluntarily exit from CDR after paying a recompense amount to its lenders. Debt has come down since then. It declared its first dividend in FY14. It has undertaken expansion in FY14-15 after which its spindle capacity has gone up to 150,000 and 3,000 rotors. Ambareesh Baliga (hereinafter referred as AB) is engaged in providing equity research, views & opinion on the Indian Stock Markets and securities listed therein. This research report (“Report”) is for the personal information of the authorised recipient(s) and is not for public distribution and should not be reproduced or redistributed to any other person or in any form without AB’s prior permission. The information provided in the Report is from publicly available data, which I believe, are reliable. While reasonable endeavours have been made to present reliable data in the Report so far as it relates to current and historical information, but AB does not guarantee the accuracy or completeness of the data in the Report. Accordingly AB shall not be in any way responsible for any loss or damage that may arise to any person from any inadvertent error in the information contained, views and opinions expressed in this publication. Past performance should not be taken as an indication or guarantee of future performance, and no representation or warranty, express or implied, is made regarding future performance. Information, opinions and estimates contained in this report reflect a judgment of its original date of publication by AB and are subject to change without notice. The Report is purely for information purposes and does not construe to be investment recommendation/advice or an offer or solicitation of an offer to buy/sell any securities. AB does not accept any liability arising from the use of this document. Investors should not solely rely on the information contained in this Report and must make investment decisions based on their own investment objectives, judgment, risk profile and financial position. The recipients of this Report may take professional advice before acting on this information. I also expressly state the following :- (a) I do not have any financial interests in the subject company/ies mentioned in this report; (b) I do not own 1% or more of the equity securities of the subject company mentioned in the report as of the last day of the month preceding the publication of the research report; (c) I do not have any other material conflict of interest at the time of publication of the research report. I also confirm that (a) I have not received any compensation from the subject company in the past twelve months; (b) I have not received any compensation or other benefits from the subject company or third party in connection with the research report; (c) I have not served as an officer, director or employee of the subject company; (d) I am not engaged in market making activity for the subject company. I submit that no material disciplinary action has been taken against me by any regulatory authority impacting Equity Research Analysis.